Sometimes I get a little too excited about finding Christmas gadgets. 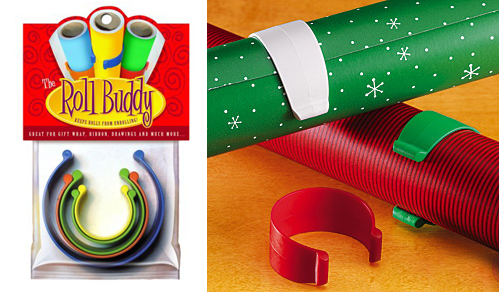 Last year it was the Roll Buddy that keeps your gift wrap nice and tidy. This year it was the Santa's Magic Water Spout. 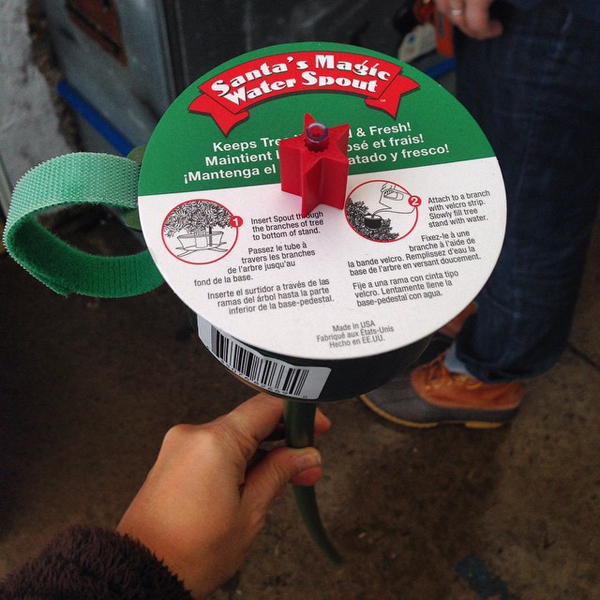 You stick it in your tree for easier watering. Anything to avoid crawling under the tree I say. Plus it has a handy, dandy dip stick to tell you when the water is getting low. It might be a bit of a stretch to call it magic, but it is really useful!